WE HAVE AN OFFER ON THIS PROPERTY, WAITING FOR BANK APPROVAL. THIS IS A SHORT SALE, BEING PROFESSIONALLY NEGOTIATED. SOLD WHERE IS AS IS, CASH OF REHAB LOAN. Ready to visit 1502 Hardy Cash? Request a free property tour! 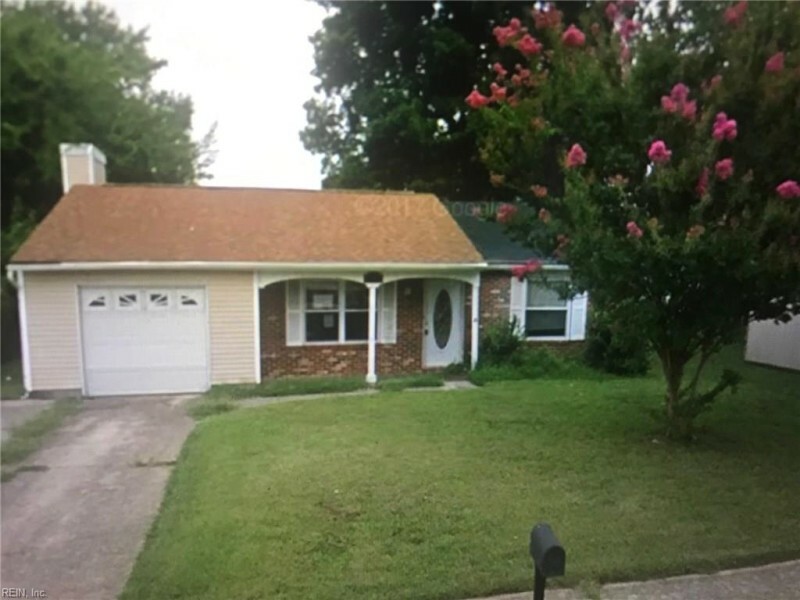 Send me more information about the listing at 1502 Hardy Cash, Hampton, VA 23666, MLS# 10240173. This 3 bedroom, 2 bathroom home located at 1502 Hardy Cash, Hampton, VA 23666 has approximately 1,269 square feet. It is currently listed for $99,000 and has a price per sqft of $7,801. This home is currently Active under the MLS#: 10240173. This listing is provided by Shaffer Real Estate Inc..
1502 Hardy Cash Drive, Hampton was built in 1984. It has Garage Att 1 Car, Driveway Spc, Street parking.The kitchen includes Dishwasher, Range, Refrigerator. 1502 Hardy Cash is part of the Magruder Heights neighborhood located in 23666.